Did your raise justify your productivity? 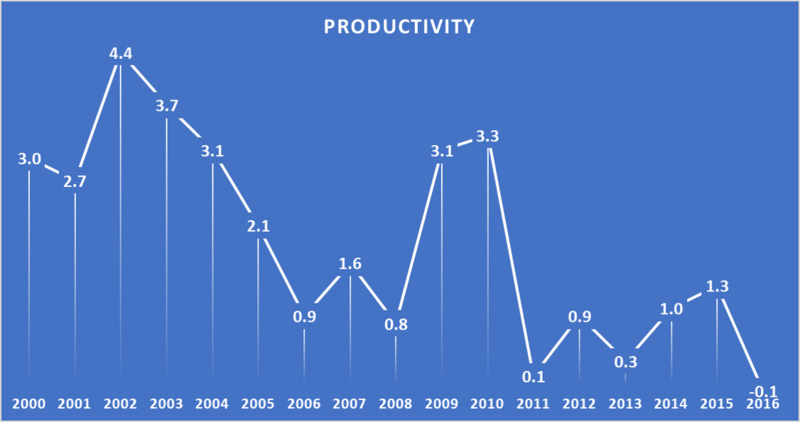 US productivity gain (in percent, year-on-year for non-farm businesses). The US productivity has been consistently going down for past 15 years, except 2009 & 2010 after the recession when unemployment hit a record high. Since US wage growth is less than 2%, some of this productivity loss is likely another contribution to wage stagnation.